You have probably heard about probiotics and maybe know you need them but do you know what they really are used for in the body? Are you overwhelmed with all the products and don’t know what to choose or why? That’s where I come in. This article is a quick overview of what probiotics are and what they do in the body. Probiotics are live microorganisms which, when in proper amounts in the gut, can enhance the health of the body. 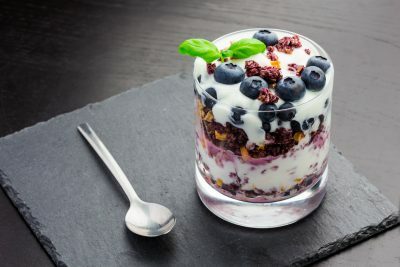 Probiotics are commonly consumed as part of fermented foods with specially added active live cultures; such as in yogurt, soy yogurt, or as dietary supplements. The word probiotic seems to be a Latin and Greek combination meaning “for-life”. Probiotics were originally thought to beneficially affect the host by improving its intestinal microbial balance, thus inhibiting pathogens and toxin-producing bacteria. So the thought was that supplementing healthy bacteria may balance out the negative effects present by the unhealthy bacteria present in the gastrointestinal tract. Today, specific health effects are being investigated and documented including alleviation of chronic intestinal inflammatory diseases including inflammatory bowel disease and irritable bowel syndrome, along with prevention and treatment of pathogen-induced diarrhea and urogenital infections. Probiotics may help relieve gas, bloating, and indigestion; and promote normal bowel movements. They can also make a tremendous difference in your health and boost your immunity. L. acidophilus helps build a fortress along your intestinal wall, so harmful pathogens can’t enter the bloodstream—which also helps ensure proper nutrient absorption. Acidophilus is also one of the core immune-boosters in your gut. B. bifidum is critical for breaking down the complex carbohydrates, fat, and proteins you eat. Plus, it helps break down large molecules in food into smaller components your body can actually use. B. longum is necessary for scavenging and neutralizing everyday toxins in the gut—so things work as they should. L. casei and L. bulgaricus are often overlooked by probiotic formulas—but they’re really two workhorses of healthy digestion. Both are able to move throughout your intestines, going wherever they’re needed. Plus, they help other bacteria—like L. acidophilus—set up their colonies. Many people just accept digestive problems as a fact of life—but you shouldn’t. The fact is you deserve a digestive system that functions normally. Proper probiotic usage may put an end to excess gas, bloating, and discomfort. Plus, proper digestion ensures your cells will get the optimal amount of nutrition from the foods you eat. So, if your digestion is off, probiotics may help repair normal function. During your appointment with me, ask about which bacteria strains are best for your health needs.